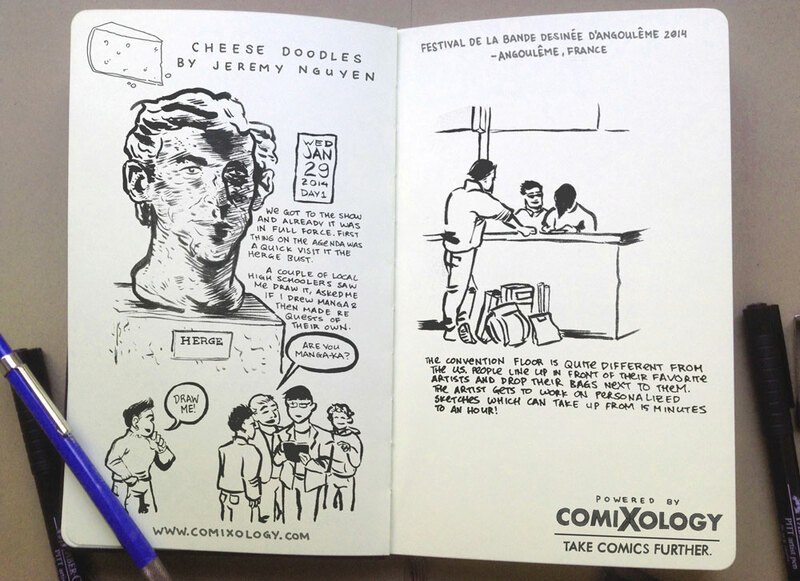 Digital comics shop are currently in France for the annual comics festival, and have uploaded some pretty cool pics from the experience on their Tumblr, including some great journalling from Jeremy Nguyen (check out Craig Thompson’s Carnet de Voyage for a similar, excellent, arty journal), and a look at the demographics of comics readers in France. 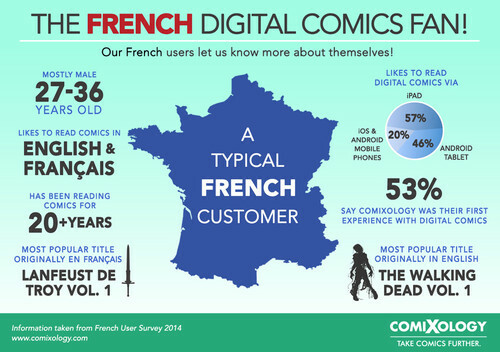 More fun stuff from comiXology coming out of the Festival de la Bande Dessinée d’Angoulême 2014. Angouléme keeps rolling on and we keep on having a great time here in France. 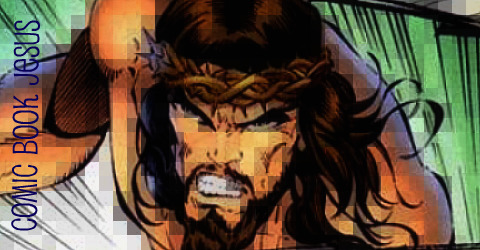 ComiXologist Jeremy Nguyen, who not only is one of the many people behind transforming each week’s comics in to Guided View but is an accomplished illustrator himself, has joined us this year and is doing a journal of the experience. 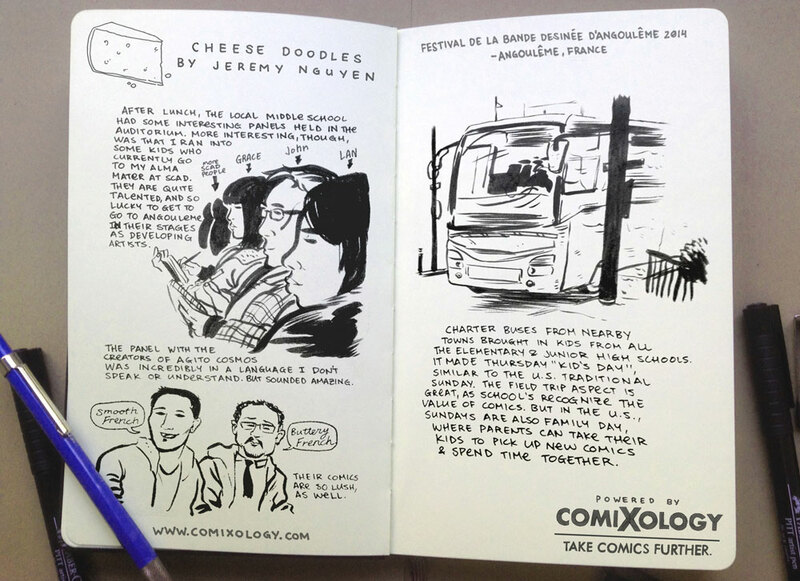 Here are two spreads from Jeremy’s Angouléme journal.